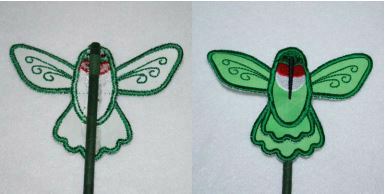 Open the PDF template files and cut out each applique piece to use as a template to cut your applique pieces. Spray 1 piece of tearaway backing with spray adhesive. Place a second piece of backing on top of the first piece and press firmly. Hoop the backing. 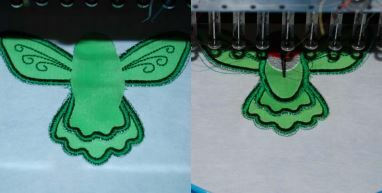 Embroider the first color stop. 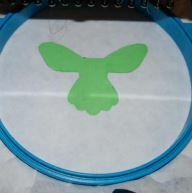 This is the dieline for the first applique piece. 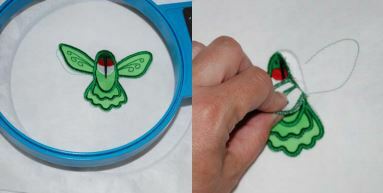 Spray the back of the applique piece, place the applique fabric inside the dieline and press gently. 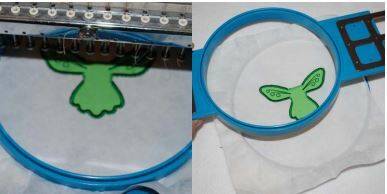 Gently tear away the backing from the piece you have just embroidered and set it aside. 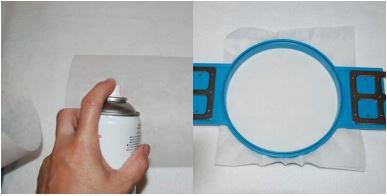 Spray adhesive 2 more pieces of tearaway backing together, as in step 1, and hoop for the next step. 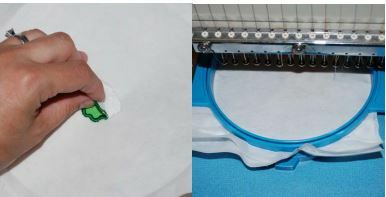 piece, place the applique fabric inside the dieline and press gently. Spray the back of the two applique pieces and then sew the next color stop. the right. Embroider the next color stop. 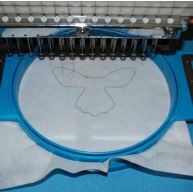 Place the last applique piece and continue to embroider the design. Remove from the hoop. 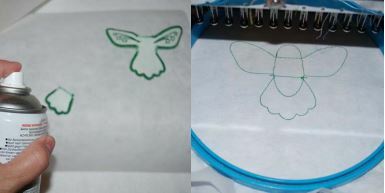 Gently tear away the backing from the piece you have just embroidered and set it aside. 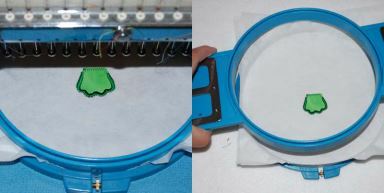 Turn the design over and run a line of hot glue from the top to the bottom of the design. 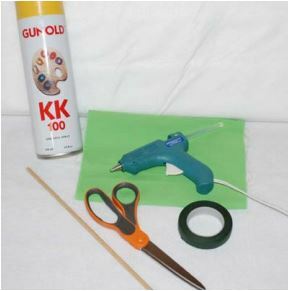 Place the 12” crafter’s dowel into the glue and hold for 1 minute. Now your 3D Planter design is complete. Glitter Vinyl: Red, White and Sparkling Messing With Tension!